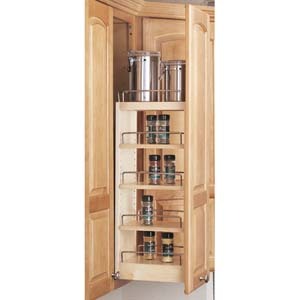 REVASHELF WALL CABINET SPICE PULLOUT. 8"W X 10-3/4"D X 26-1/4"H. WALL CABINET IS NOT INCLUDED. THIS ITEM CAN BE ADDED TO A W1230, W1236 and W1242.